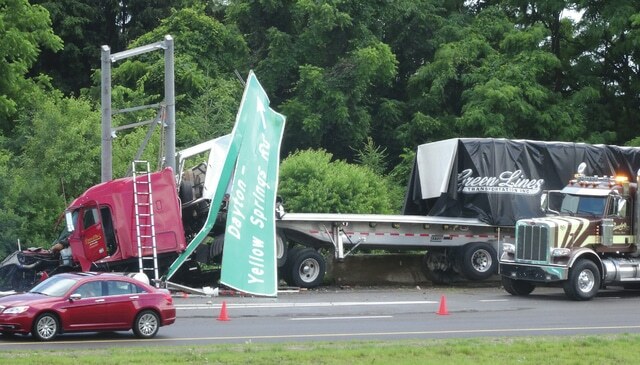 FAIRBORN — Interstate 675 North was closed Tuesday afternoon while crews cleaned up a diesel fuel that happened when a semi-trailer rolled and crashed into a sign. The accident occurred shortly after 2 p.m. The driver suffered minor injuries and was taken to a local hospital, according to media reports. The reports say the Ohio Environmental Protection Agency was called to the scene due to the amount of fuel spilled. The highway was expected to be closed for at least an hour.